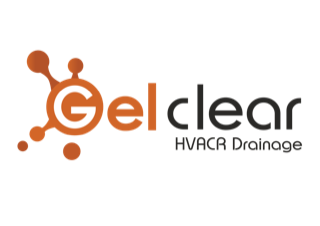 Our judges liked the Gel-clear approach and they were particularly impressed that a small business – and one operating in a niche area – was striving to ‘do the right thing’ in the cooling industry. The company based in Darwen, Lancashire, has just four full-time staff and is owned solely by Paurick Gaughan. The company was founded in 2012 by Mr Gaughan as a way to bring his proprietary condensate tablets to market. The tablets were the end result of a four-year international research project, focusing on biofilm in food retail refrigeration. The primary goal was always to prevent biofilm by non-chemical means, he says. After finding no suitable alternative, with a manufacturing partner he set about developing a treatment suitable for the whole drainage chain: the result was a food-safe tablet that would slowly dissolve in the condensate pan, being carried by the water along the whole drainage route, coating the drains in an antimicrobial layer as it went. In a non-conventional approach typical of the ‘Gel-clear way’, the tablets were launched in November 2012, with no publicity, promotion or sales team – simply a website that offered free trials of the product that would last for a year. By the end of 2013, five of the UK’s top ten retailers had engaged in live trials. Every customer engaging in a trial went on to use Gel-clear tablets on their chillers, with two of the retailers specifying the tablets to be used in every chiller in their stores nationally. 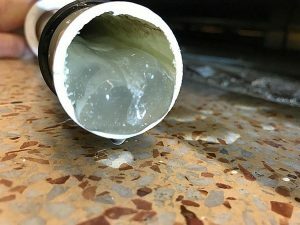 Customer trials have shown a 97 to 100 per cent reduction in water leak call outs as a result of the removal of biofilm. In 2016 the tablets won a Cooling Award for Refrigeration Product of the Year, and in 2017 the HIVE Innovation Award. Since then the firm has added two new nonhazardous and non-toxic cleaning sprays and a new air conditioning wall-mount unit drain strip. The company has experienced an average growth rate of 165 per cent a year since 2012 and the 2018 accounts so far shows a 100 per cent customer retention rate, the company says. Staff training and development is seen as an important aspect of the company identity and legacy, Mr Gaughan adds. Everyone is encouraged to take any training they want to, and equally they are encouraged to look at other companies for aspects they can learn from. Gel-clear also has a strong environmental focus, with such initiatives as changing a drain dye from plastic bottle, to powder sachet to reduce plastic waste. At Chillventa, it offered its product in bags made out of newspaper by Indian street children. Gel-clear supports Boxfit, a local boxing club, focusing on young people in the area, in the belief that the disciplines of the sport can become an important foundation for young people. It also supports the Samaritans “Pay for a Day” scheme. The company says it measures customer feedback in two ways. The first is the simple data of customer retention, while the second is more organic – watching social media channels for organic feedback, where the feedback is anecdotal from customer experience, and not incentivised. “We take this very seriously because it is the end user’s experience of our product,” says Mr Gaughan.